In a time of world upheaval God raised up an extraordinary priest in Fr. Aloysius Ellacuria, CMF. (1905 - 1981) So completely did he sacrifice his will in the service of God and neighbor that blessings were showered upon him in abundance, and upon those whose lives he touched. His sanctity was confirmed by miracles and countless conversions. But, suffering also became his constant companion, and many dark nights he meekly endured. This new documentary film tells the story of the famous "Fatima priest", and traces his fascinating life journey from his Basque home in Northern Spain to the United States, Mexico and Portugal and back to the USA. It interviews many people who worked closely with him, and others whose lives he deeply impacted. 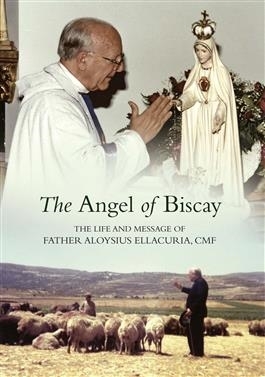 Filmed on location in many beautiful locations, the film illustrates the character, mission and spirituality of a truly remarkable priest who changed the lives of so many, especially through his deep love for, and his efforts to spread devotion to, the Holy Eucharist and the Immaculate Heart of Mary.